Exploring the predicates of education from theoretical, practical and historical perspectives, this book revalorizes the central role of the humanities in the ethical and aesthetic formation of the individual. This book considers timely questions of process and epistemology in today’s academy. It examines the subject of learning as it arises in the individual, is defined by educators, and is conceived by society at large. In attempting to formulate a lingua franca for contemporary pedagogy, the book highlights the concrete activities of educators and students and the qualities that emerge in the educational process. 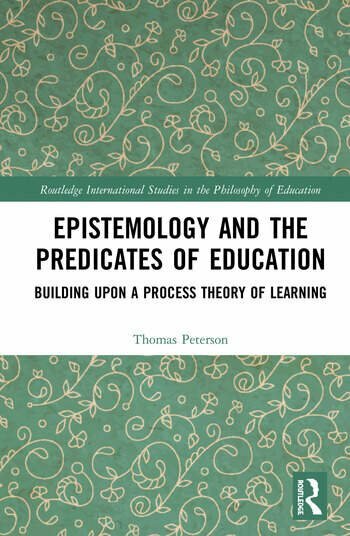 By synthesizing the writings of educational theorists working in different fields—philosophy, psychology, anthropology and more—The Predicates of Education highlights the transformational nature of knowledge and its capacity to invigorate the student through the practice of self-inquiry. The analytical and focused research offered in The Predicates of Education will be of interest to researchers, academics and postgraduate students in the fields of philosophy of education and higher education.